Greetings again from the darkness. World War II. Baseball. Spies. A true story. Assemble all those pieces and you have Morris “Moe” Berg. 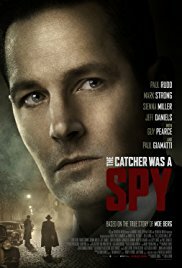 Director Ben Lewin (THE SESSIONS, 2012) brings the fascinating story to the big screen with Robert Rodat’s (Oscar nominated for SAVING PRIVATE RYAN) screenplay adapted from the 1994 biography “The Catcher was a Spy: The Mysterious Life of Moe Berg” written by Nicholas Dawidoff. This is neither your typical spy movie nor your typical baseball movie. Background information is provided by pre-movie title cards: in 1938 German scientists split the atom for the first time, ushering in the nuclear age; renowned German physicist Werner Heisenberg (1932 Nobel Prize winner) was charged with building an atom bomb; the United States responded by sending a baseball player to assassinate him. It’s 1944 Zurich and two men exchange uncomfortable glances across a dimly lit room. We then flashback 8 years to see Moe Berg utilizing his gut instincts to survive as a veteran journeyman catcher for the Boston Red Sox at Fenway Park. We later learn his sixth sense is not limited to the baseball diamond, and is used in situations much more important than whether a baserunner is stealing a base. Growing up Jewish, Berg had always been somewhat of an outsider, admitting, “I don’t fit in.” In baseball, they called him a walking enigma. Educated at Princeton, Columbia and Sorbonne in Paris, Berg spoke several languages, had a ‘fake’ wife, was a regular on quiz shows, and was constantly followed by insinuations of homosexuality … though he only admitted to being good at keeping secrets. Berg’s is a truly fascinating story, but unfortunately Paul Rudd is a bit overmatched in the lead role. He just doesn’t quite have the dramatic acting chops to convey the intellectual depth of the man. However, the rest of the cast is stellar: Paul Giamatti (as Samuel Goudsmit), Connie Nielsen, Mark Strong (Heisenberg), Sienna Miller, Hiroyuki Sanada, Guy Pearce, Jeff Daniels (as William J Donovan), Tom Wilkinson (as Paul Scherrer), Giancarlo Giannini (a 50+ year career), and Shea Whigham (as Joe Cronin). Many of these are little more than cameos, and the choppy feel of the film’s flow prevents us from ever really connecting to characters. An extended battle scene volleys from intense and well-filmed to slightly comical as Mr. Giamatti is forced to run and dodge bullets. The look, tone and color palette of the film is quite similar to Spielberg’s BRIDGE OF SPIES (another true story), though this current one pales in comparison, as director Lewin presents it as a “will he won’t he kill the guy?” scenario. Berg’s story is likely more suited to documentary treatment, as his time with the U.S. Office of Strategic Services (OSS, later the CIA), resulted in his being awarded the Medal of Freedom. Upon his death in 1972, Newsweek’s headline read “3rd String Catcher, 1st String Spy”. Greetings again from the darkness. Guilty until proven innocent. It’s a concept that is inconceivable to Americans, yet it’s the core of British Law in libel cases. When once respected British historian David Irving accused American scholar and educator Deborah Lipstadt of libel, based on her book that accused him of being a Holocaust denier, the burden fell to Lipstadt to prove not just that Irving’s work was a purposeful lie, but that the Holocaust did in fact take place. This is the first theatrical release in about 15 years for director Mick Jackson, who is best known for his 1991 L.A. Story and 1992 The Bodyguard, and for his Emmy-winning 2010 TV movie Temple Grandin. 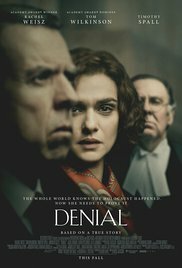 The script is adapted, from Deborah Lipstadt’s book, by playwright David Hare (The Reader, 2008), and the courtroom dialogue is taken directly from trial records and transcripts. Like most courtroom dramas, the quality relies heavily on actors. Rachel Weisz plays Ms. Lipstadt with a brazen and outspoken quality one would expect from a confident and knowledgeable Queens-raised scholar. Timothy Spall bravely takes on the role of David Irving, a pathetic figure blind to how his racism and anti-Semitism corrupted his writings and beliefs. Tom Wilkinson is the barrister Richard Rampton who advocates for Ms. Lipstadt and Penguin Books in the libel suit brought by Mr. Irving. Andrew Scott plays Andrew Julius, the noted solicitor who also handled Princess Diana’s divorce from Prince Charles. Others include Caren Pistorius as an idealistic member of the legal team, and Alex Jennings as Sir Charles Gray – the sitting judge for the case. Of course for any sane human being, it’s beyond belief that a Holocaust denier could achieve even a modicum of attention or notoriety, much less have the audacity to bring suit against a scholar who simply published descriptions of that denier’s own words. Rather than come down to fact vs opinion, a more fitting title would be opinion based on fact vs opinion based on a lie. If the words used against Irving in Lipstadt’s books are true, she would win the case. In other words, she had to prove that he was a racist, an anti-Semite and knowingly misrepresented the facts in his works as a Holocaust denier. Mr. Jackson’s film begins with Ms. Lipstadt as a professor in 1994 at Emory University (where she remains employed to this day). In 1996, the lawsuit is filed, and in 1998, Lipstadt and Rampton visit Auschwitz. Though the courtroom drama and corresponding legal work takes up much of the film, it’s this sequence filmed at Auschwitz that is the heart and soul of the film. Very little melodrama is added … the scenes and the setting speak for themselves. The trial finally started in 2000, and as always, it’s fascinating to compare the British court of law and process with that of the United States. The formality is on full display, but nuance and showmanship still play a role. The film and the trial ask the question … are you a racist/anti-Semite if you truly believe the despicable things you say/write? This is the question that the judge wrestles with (and of course, “Seinfeld” had a spin on this when George stated “It’s not a lie, if you believe it”). It’s been a rough movie week for me with the Holocaust and slavery (The Birth of a Nation), but it’s also been a reminder of just what wicked things people are capable of, and how current society continues to struggle with such inexplicable thoughts. Kudos to Ms. Weisz, Mr. Wilkinson and Mr. Spall for excellent performances, and to Mr. Hale for the rare inclusion of a Chappaquiddick punchline. Greetings again from the darkness. When the word formulaic is used to describe a movie or book, it’s typically meant as a disparagement. We must admit, however, that if the formula works, it only makes sense (and dollars) to stick with it. Most Hollywood blockbuster franchises are built around a basic formula – superheroes, romantic-comedies, alien invasions, etc. Author Nicholas Sparks (The Notebook) has taken his tragic-romance novel formula and turned it into big screen gold. This is the eleventh film developed from his writing, and it’s likely to be another successful entry into the Sparks canon. Director Ross Katz (Adult Beginners, 2015) is at the helm of the screenplay by Bryan Sipe (upcoming Demolition) and many of the familiar Sparks features are present. First off, the key players are all exceedingly attractive – Ralph Lauren model attractive. Secondly, there is a will they/won’t they romance that will of course happen and then may fall apart, but probably won’t. And third, some type of tragedy will occur that will kick off a stream of tears from a certain segment of the audience. This one begins with a narrator’s humble-brag promising to tell us the “secret of life”. That narrator is Travis, played with an over-flowing abundance of southern charm by Benjamin Walker (Abraham Lincoln: Vampire Hunter, 2012). His main vices are a tendency to use “damn” to the point of overkill in most every conversation, and his natural ability to attract the ladies. Oh, and he has a rescue dog and a lake house and he is a veterinarian. See, in the Sparks universe, everyone is beautiful and successful. Travis has his eye on his new neighbor, who is pretending to be annoyed but mostly admits to playing a game of hard-to-get. This is Gabby (Teresa Palmer, Warm Bodies 2013), and she is beautiful and a doctor-to-be. Gabby’s current boyfriend is, of course, a handsome doctor. Ryan is played by Tom Welling (a bit heftier than his days as Clark Kent/Superman in “Smallville”). The beautiful Maggie Grace (Taken) plays Travis’ sister, and Alexandra Daddario (San Andreas) plays Monica … she is not only beautiful, but she is also the nicest, most understanding and supportive “other” woman ever seen on screen. Tom Wilkinson plays Travis’ veterinarian dad, and Sharon Blackwood plays the wise-cracking and match-making assistant Cora. If that’s not enough beauty and success for you, we also get “puppies in a basket”! Come for the chuckles and tears … just not twists or surprises. Fans of this genre will get exactly what they want. It’s a romantic fantasy set in the somewhat realistic world of doctors, veterinarians, and equestrians. The faces are perfect. The dialogue is snappy without being demanding (even in the God discussion). Many scenes feature loyal dogs, or a serene lake, or the “moon and stars”. Even the difficult parts of life – raising kids, health issues, etc – are given the ‘yada, yada, yada’ treatment. While Travis claims over and over that Gabby “bothers him”, it’s the kind of bother that creates a cryfest in the theatre … whether things go right or wrong. It’s also the reason that all eleven Sparks films feature a couple of lovers on the poster. Just remember, if that formula works …. Greetings again from the darkness. Just a little bit of creativity goes a long way in comedies these days, as it seems most just care about pushing the bounds of crude and raunchy humor. The premise of this latest from director Ken Scott (Delivery Man) and writer Steve Conrad (The Pursuit of Happyness) teases us with the hope that it could be more Office Space than Neighbors, but the lure of cheap, bawdy laughs proves too great. The story begins with Vince Vaughn’s Dan Trunkman having a Jerry Maguire moment in the middle of the office after being informed by his boss Chuck (Sienna Miller) of a 5% paycut. Dan’s Napoleonic charge to the parking lot results in his new company being staffed by Tom Wilkinson (fired for being too old) and a much younger and less-experienced Dave Franco. We follow the boys from St Louis to Portland, Maine to Berlin as they chase the ever-elusive “handshake” to seal their first big deal. Featuring a near-endless stream of potential comedic elements, the film touches on: parenting, bullying, ageism, the G8 summit and corresponding protest/riot, a Fetish Festival, the Berlin marathon, a gay bar, marital challenges, small business ownership, mentoring, the politics of business, a unisex spa, a youth hostel, excessive drugs and booze, “maids” for hire, challenges for chubby types, and an introduction to inhabited art. Some of these are underplayed, while others go way over-the-top. 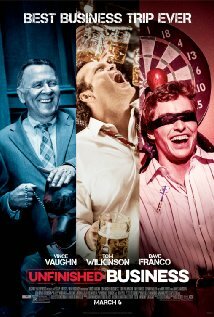 Vaughn is the leader of this “three amigos” triumvirate of misfits and is on a mission to put the welfare of his employees above company profits – all the while he is skyping with his wife (the underutilized June Diane Raphael) on the due date for private school tuition. Mr. Wilkinson plays the older guy looking for new experiences (as his marriage dissolves) and Mr. Franco is the most confusing of all characters – we are unsure whether he is absurdly naïve or somewhat mentally handicapped. The upstart company is competing directly against Chuck and the old company in a very confusing transaction involving “swarf”, which is described as metal residue from giant projects like bridges and skyscrapers. Because of this, the business element is really wasted and all we get is generic-speak about spreadsheets and profit margins. Other supporting work is provided by Britton Sear and Ella Anderson as Vaughn’s kids, James Marsden as the prospective client, and a scene-stealing Nick Frost as Marsden’s operational sidekick with a lonely/wild side. In addition to the shenanigans mentioned above, the movie periodically throws up the stop sign for laughter in an attempt to mix in some real world family emotions – parenting via Skype is a bit challenging. As one would expect, there are many laughs throughout, although Vaughn is working hard at evolving from the “zinger” guy he has been for two decades. Unfortunately the structure of the film is simply too loose to work as anything more than a few laugh-inducing comedy set scenes. Still, there is much to be said for a film and actors that can make us laugh … even with an unfinished handshake. Greetings again from the darkness. Historical dramatizations can be a tricky business, as delivering both truth and entertainment value is quite challenging. There is always an expert quick to point out any artistic license taken at the expense of historical accuracy. Of course, most movie lovers have come to accept that even the best-intentioned Hollywood looks at history will be at least as focused on selling tickets as educating the public. 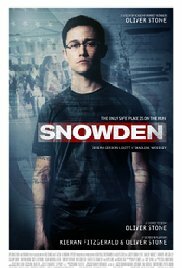 Because of this, the swirling controversies for this film are neither surprising nor overly distracting from its message. March 7, 1965 is known as Bloody Sunday and marks one of the most despicable moments in U.S. history. It was also a turning point in the Civil Rights Movement and can be viewed as shrewd strategy from Martin Luther King, Jr. and his organization, the Southern Christian Leadership Conference. The movie makes it clear that MLK had a full understanding that Selma, Alabama and it’s racist, redneck Sheriff Jim Clark provided the perfect opportunity for a violent reaction to King’s demonstrations and protests. It also makes it very clear that there was boundless ignorance, hatred and racism on the part of many southern whites. If the subject matter is somehow not enough to grab your attention, the startling event that occurs 5 minutes in will surely leave you shaken. The film does an outstanding job of focusing on two pieces of this most complex puzzle: 1. the boots on the ground – the grass roots movement of the people, and 2. the ongoing political debates occurring between MLK and LBJ, between LBJ and his staff, and between MLK and his lieutenants. The Civil Rights Act had already been passed, so the efforts were in hopes of overcoming the obstacles faced by southern blacks who wished to vote. One of the film’s best scenes has activist Annie Lee Cooper (Oprah Winfrey) trying yet again to have her voter registration processed, but being rebuffed by a county clerk through an impossible Q&A session. These intimate moments are where the film excels: Coretta questioning MLK on his love for her, MLK speaking with grandfather of Jimmie Lee Jackson outside the morgue, and MLK turning down the proposal of US Attorney John Doar (Alessandro Nivola). In an odd twist of casting, four of the leading characters are played by Brits: David Oyelowo as MLK, Tom Wilkinson as President Lyndon Johnson, Tim Roth as George Wallace and Carmen Ejogo as Coretta Scott King. All four are excellent, but it’s Mr. Roth as the racist-beyond-belief Alabama Governor Wallace that is the most slitheringly evil, while Mr. Oyelowo gives what can only be described as a towering performance of the man many of us know only from history books and news reels (and a January holiday). The supporting cast is vast and talented, and because the story spends so much time on the individuals, many of these spend little time on screen. 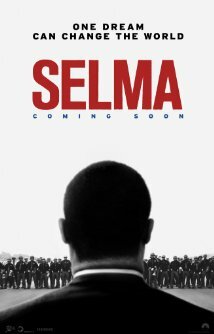 In addition to Andrew Young (Andre Holland), Reverend Hosea Williams (Wendell Pierce), J Edgar Hoover (Dylan Baker), and Lee C White (Giovanni Ribisi), we also see activist Diana Nash (Tessa Thompson), CT Vivian (Corey Reynolds), John Lewis (Stephen James), and Judge Johnson (Martin Sheen). The most bizarre moment has Malcolm X (Nigel Thatch) in a quasi-Mr Rogers depiction as he discussed his new found approach with Coretta. The original King speeches are owned by another studio so those delivered here by Oyelowo have been re-written and revised, yet the words and Oyelowo’s powerful oratory deliver the message loud and clear. While it can be argued that the film delivers only one point of view (the FBI was no friend to the movement), it can just as easily be argued that previous films have done the same thing – only from the “other” perspective (Mississippi Burning, Ghosts of Mississippi). In what can be viewed as the first serious movie on Martin Luther King, director Ava DuVernay announces her presence with authority. She will have no need to return to her career as a movie publicist, and we will be watching to see what type of projects appeal to her after this. In a brilliant move, the story focuses on a period of just a few months in 1965, rather than tackling the MLK legacy. She presents him as a man with strengths, flaws, doubts, and determination. It’s clear why so many followed him, and it’s all the more painful to know that so many resisted. Greetings again from the darkness. Always a bit partial to films based on a true story, I would have to label this as a fictionalized historical period piece, and a step above most costume dramas (though the costumes here are quite stunning). While it’s a very attractive movie to look at, I was a bit frustrated at the multi-directional approach that just skimmed many topics. 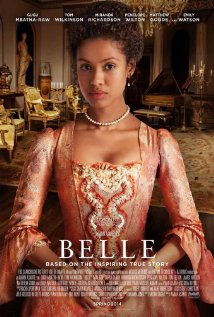 The movie could have focused on the relationship between cousins Dido Elizabeth Belle (Gugu Mbatha-Raw) and Lady Elizabeth Murray (Sarah Gadon). Or it could have zeroed in on the unusual complexities raised by the illegitimate mixed race Belle being raised in British Aristocracy. Still another option would have been digging into the historical impact of Zong massacre and the subsequent arguments, court trials and appeals. Instead, we get a splash of each … which leaves the viewer wanting more detail on all three. The cast is very strong and features Tom Wilkinson as Lord Mansfield, Lord Chief Justice of the King’s Court … he raises Belle at the request of his nephew (her father). Lord Mansfield’s wife is played well by the always excellent Emily Watson. Also featured are Miranda Richardson, Matthew Goode, Penelope Wilton (always entertaining), James Norton, Sam Reid, and Tom Felton – who creates yet another despicable character to go with his Draco from the “Harry Potter” series. Maybe the best term for this is historical melodrama, as the courtroom decision comes across as anti-climatic, with more third act attention paid to Belle’s love interest (Mr. Reid). Very little is known of the actual Dido Elizabeth Belle, but it seems clear that her role in the Zong trial was dramatically enhanced for the purposes of the film. In fact, more drama may have played out for the film’s writing credit between the director Amma Asante and the WGA. Though the director lost the writing credit, she can be proud enough of the final product. 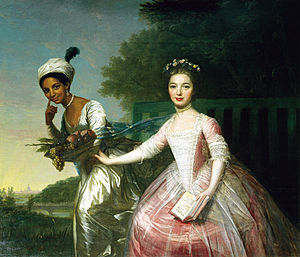 The two cousins are featured in the famous 1779 painting (see below) that inspired the story.